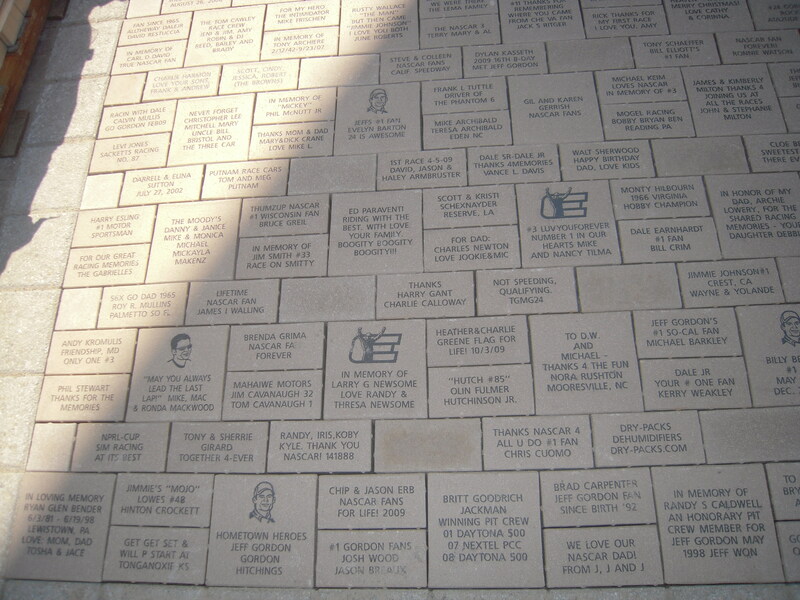 The NASCAR Hall of Fame celebrated its history, heritage, personalities and moments of stock car racing as well as its greatest race car drivers with its Hall of Fame Commemorative Brick Program. 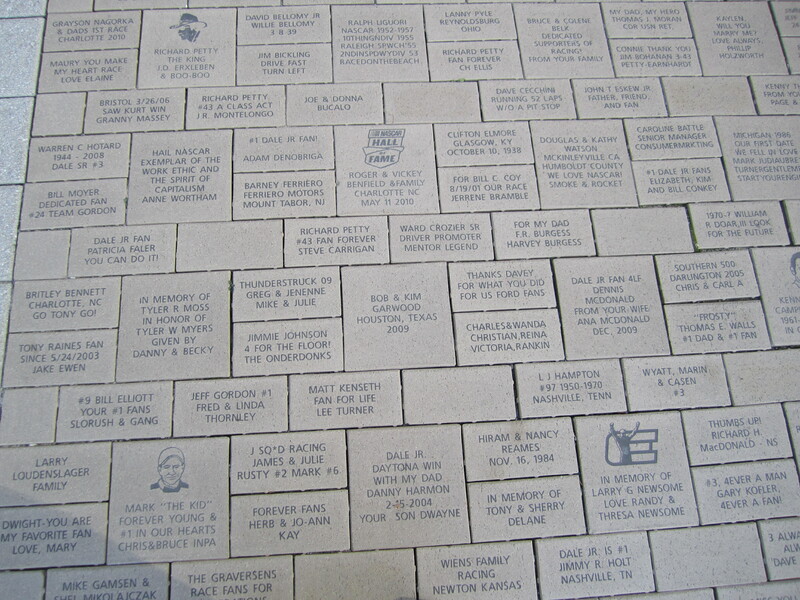 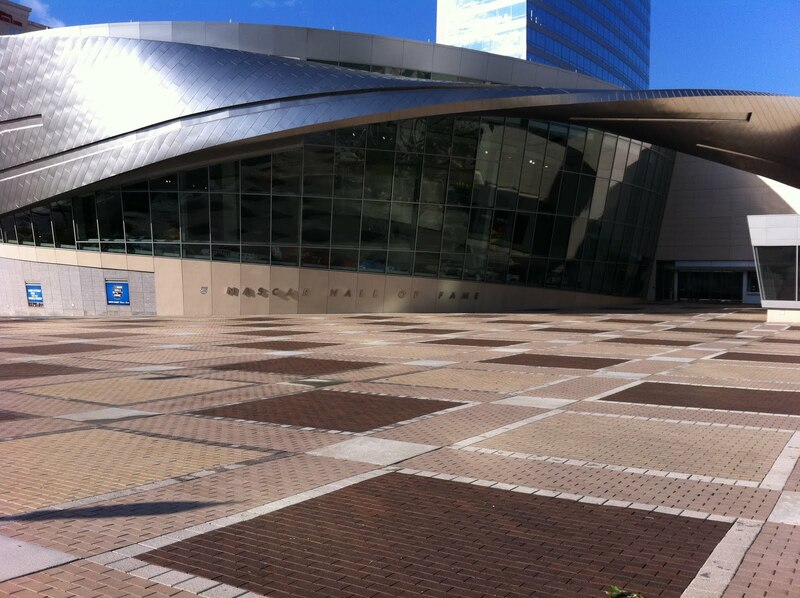 The Commemorative Bricks were located in the Ceremonial Plaza in front of the main entrance of the NASCAR Hall of Fame. 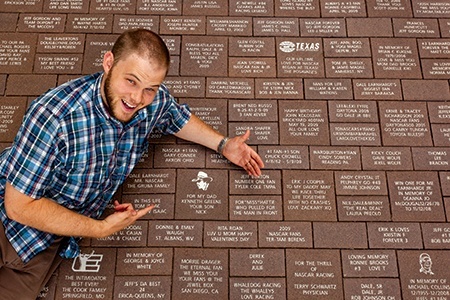 This prime location guarantees that fans' bricks will be seen by thousands of visitors each year.